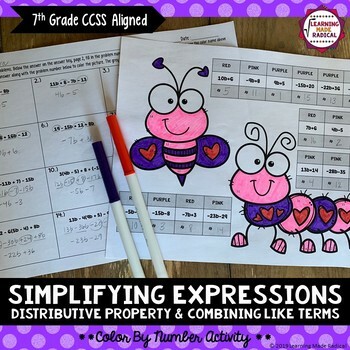 Students will work through finding the surface area of 16 simplifying expressions problems - 8 use combining like terms only and 8 use distributive and combining like terms. 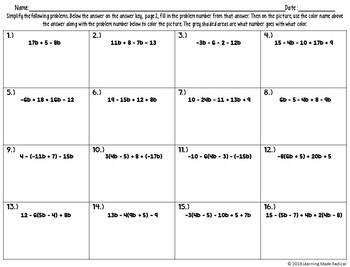 There is enough room within each problem for students to show their work. Add the coloring part in and kiddos will have a fun activity to complete! Best part - print ready activity! Print it off and hand out to your students, ready to go!